in new GCSE grading system. Over 50% of all grades awarded at GCSE graded A*, 8 or 9. 83% A*A in English literature. In religious studies – 55% of students awarded the highly aspirational Grade 9. 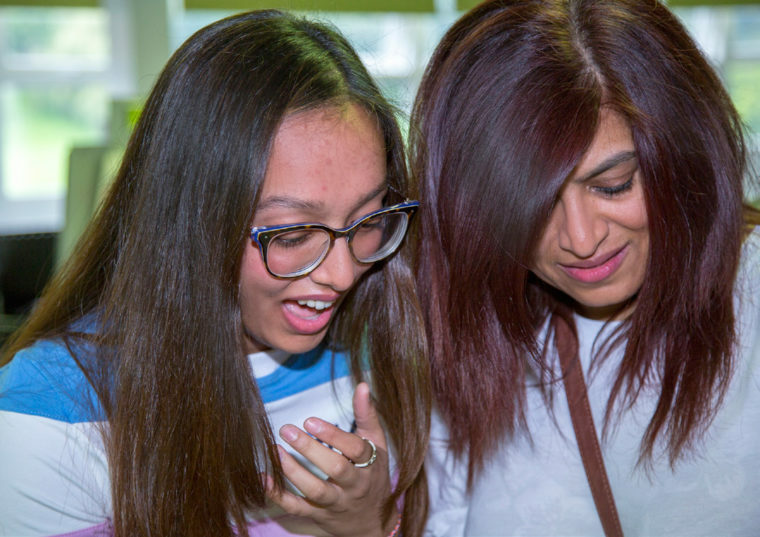 Croydon High School GDST is celebrating a set of truly outstanding GCSE results with this year’s cohort breaking the record, established only last year, for the best GCSE results in a generation. Much has been said about the more challenging and academically rigorous nature of the new specifications and there has certainly been much speculation and more uncertainty nationally as teachers, parents and most importantly, students, await the news on Results Day. Emotional times for Laura Cope and her mum as they realise how well she has done! 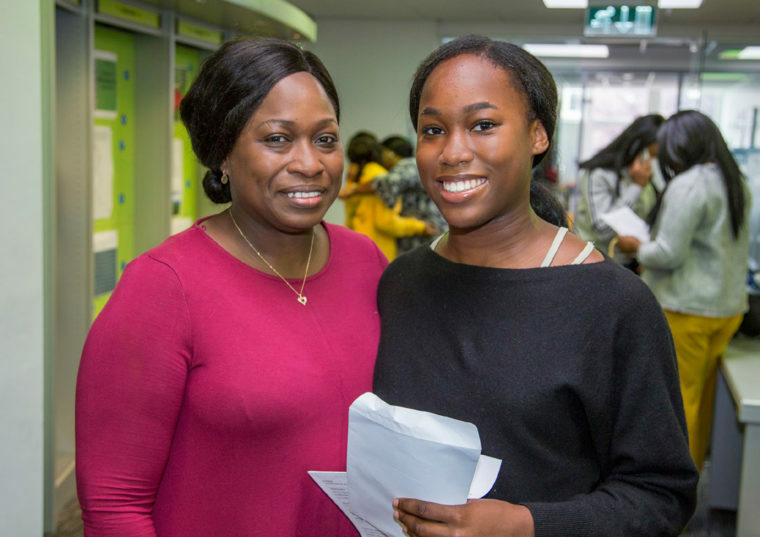 In the midst of this challenging environment, Croydon High is exceptionally proud to announce that this year over 50% of all grades awarded at GCSE were graded at the highest level of A*, 8 or 9. In addition, over 30% of numbered grades awarded to Croydon High girls were Grade 9. 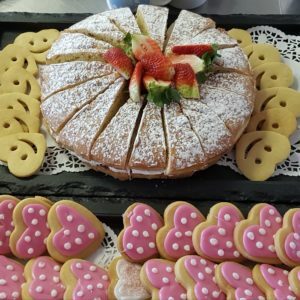 The BBC is reporting that, nationally, about 4% of entries were awarded the exceptional grade 9 in these reformed and more stretching GCSE courses. Viewed in this context, Croydon High’s results represent a quite remarkable achievement. 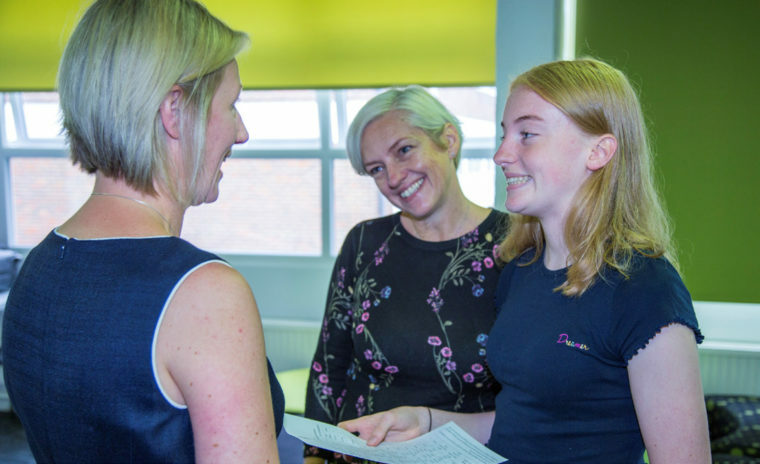 The school certainly has more than its fair share of high achievers; over 35% of girls were awarded straight A* A or Grade 7-9 equivalents, across a broad and demanding curriculum, often combined with a plethora of extracurricular achievements. Amongst these, congratulations must go to Josie Cunnington, (7 A* grades, three Grade 9s and 1 Grade 8). Zakiyaa Jiwa (5 A* grades, two A grades and three Grade 9s) and Seyi Ogunyemi (7 A* grades and 4 Grade 9s). Ria Dhopatkar and Vanessa Beal also have every reason to smile! 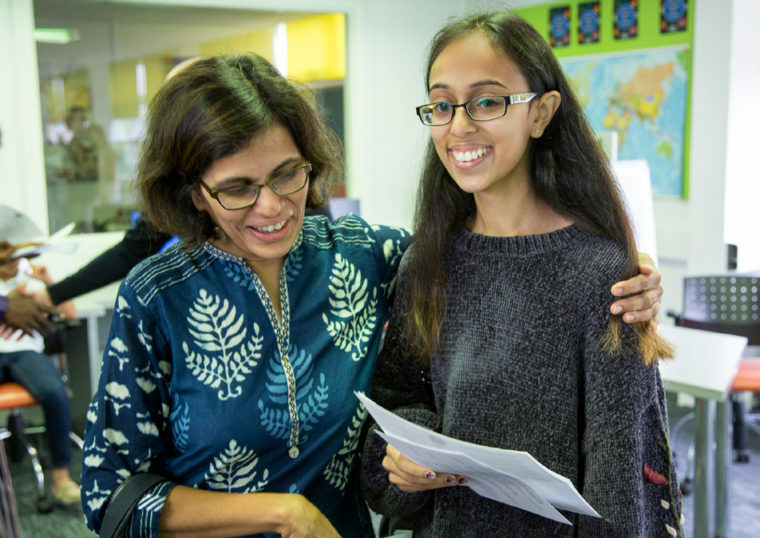 Ria gained 7 A* grades, 1 A and 3 Grade 9s whilst Vanessa is celebrating 7 A* grades, 1 B and three Grade 9s. As well as achieving outstanding academic grades, these girls have all contributed fully to the life of the school in music, sport, debating, drama….the list goes on. They have embraced all their opportunities, worked exceptionally hard and deserve to savour this moment fully. Well done girls! 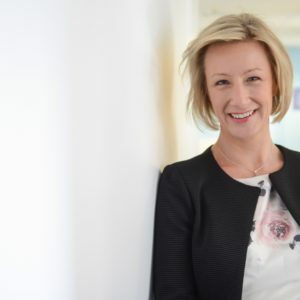 The numbers achieving such high grades makes it difficult to single girls out for praise, a fact that Head of Upper School, Sue Beck, is keen to point out. 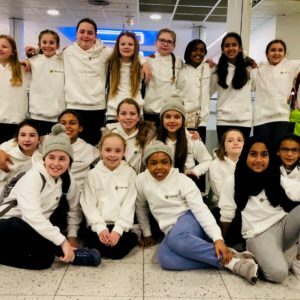 “Without exception, every girl in the year group has stepped up and worked hard and we are proud of them all. We know each girl so well that when we analyse grades and numbers, we always relate it to the individual journey she has been on. That’s why it is fantastic that, as a group and individually, the girls have truly excelled”. 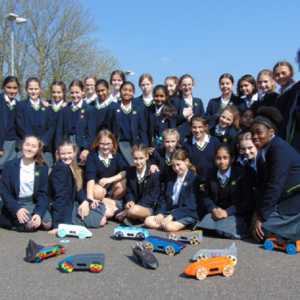 What makes these results even more impressive, is that they do not represent high performance in a cluster of subjects but, instead, demonstrate, that in a supportive and challenging learning environment such as Croydon High, girls can excel across the board. Across GCSE biology, chemistry and physics, 72% of grades awarded were A* with 76% A*A in maths. 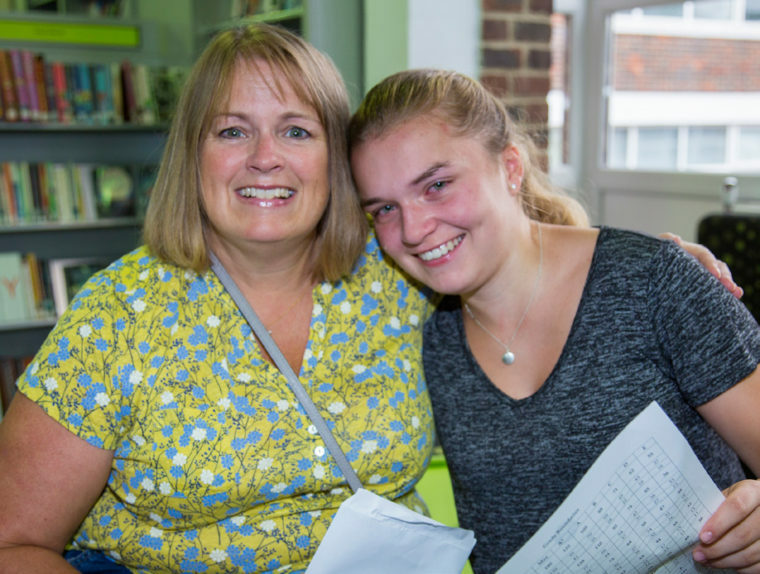 It is therefore striking that the same group of girls have also delivered stellar grades in the more creative subjects, including 90% A*A in modern foreign languages, 100% 8 and 9 in music and 83% A*A in English literature. In religious studies, a staggering 55% of students were awarded the highly aspirational Grade 9. 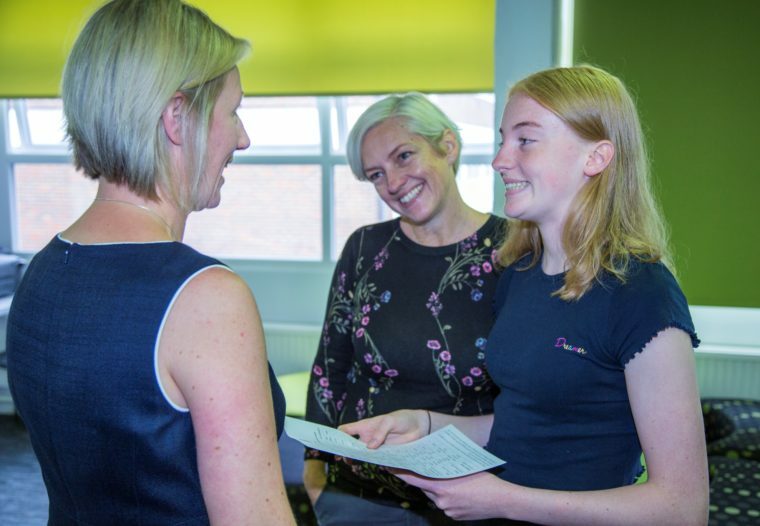 The future looks bright, not just for these impressive young women but for the school as a whole as they move on to Sixth Form and prepare to take their places as inspirational leaders of our student body.